My collaboration with Scottish textile and home wares brand, Bluebellgrey, has been a soaraway success. The tassels and tiebacks in Fi Douglas's vibrant colour palate seem to fly off the shelves and now you can come and learn how to make your own when I wend up to Glasgow at the end of the month. I shall be teaching a tassel/tieback workshop on Saturday 31st September at the Bluebellgrey showroom. 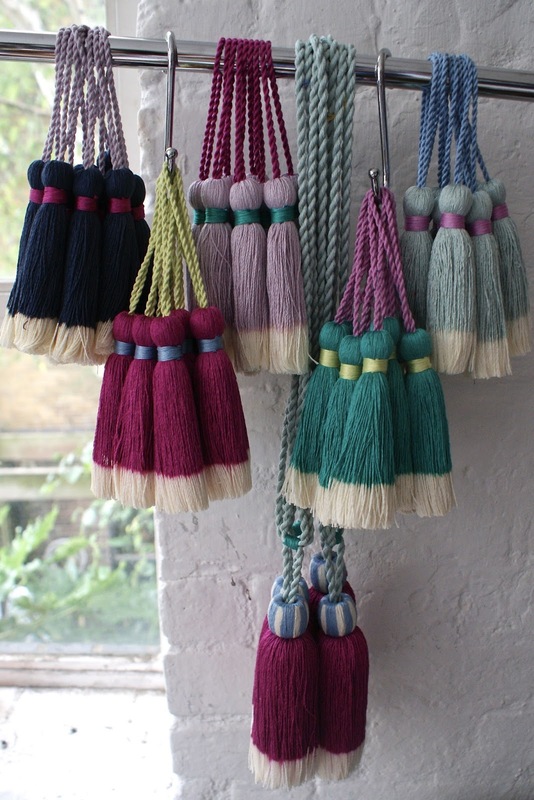 A selection of Bluebellgrey tassels.